Aaron Thompson sets up Butler’s offense. Thompson and the Bulldogs host Seton Hall on Feb. 2. Jimmy Lafakis/Collegian file photo. After an 18-point loss against Marquette, the Butler men’s basketball team welcomes the Seton Hall Pirates to Hinkle Fieldhouse. Here’s what you need to know as the Bulldogs try to avoid losing four straight for the first time since 2013-2014. Stop Myles Powell and force other Pirates to score. In the first matchup between these two teams, Myles Powell was 8-for-15 from the field, 13-of-15 from the free throw line and scored 31 points. The remaining nine Pirates who played against Butler had a total of 16 field goals and not one player posted more than 10 points. When Powell doesn’t score and get to the free throw line, the Seton Hall offense is in trouble. Against Villanova, Powell was held to three points on 1-of-5 shooting and he only took two foul shots. As a result, the Pirates scored 52 points, their lowest total of the season, and lost to the Wildcats by 28. If the Bulldogs can just contain Powell and keep from getting to the free throw line 12 to 15 times, they will be in the right spot to win this game. The Pirates struggle to take care of the basketball. They turn the ball over 13 times per game, ranking them 133rd in the nation in that category. Even in their most recent win against Providence, Seton Hall turned the ball over 19 times, resulting in 20 points for the Friars. It’s even more important for Butler to turn the Pirates over because the Bulldogs have had their struggles scoring in the half court this season. The more turnovers Butler can generate, the more the game speeds up and Butler can get some easy buckets without a set Seton Hall defense. Butler has no choice but to protect Hinkle Fieldhouse. After losing to Marquette, the Bulldogs have run out of chances to get a signature win within the safety of Hinkle Fieldhouse. The meat of Butler’s road schedule against Villanova, Marquette and St. John’s is still yet to come so the Bulldogs can’t rely on road games to get wins, they need to happen at home. Because of Butler’s current standing as a team projected to miss the NCAA Tournament, home losses to teams outside of the top 60 at KenPom like Seton Hall almost ensure the Bulldogs won’t make the Big Dance. 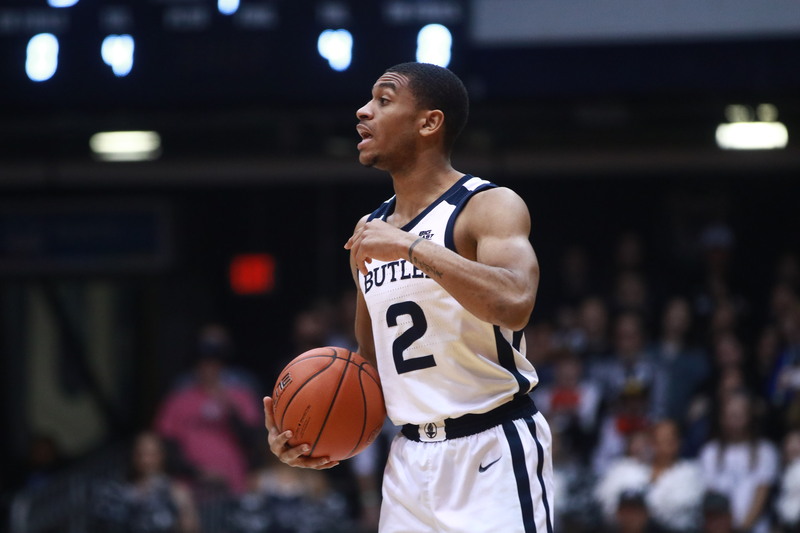 Ideally, the Bulldogs go out and get a surprising win on the road, but right now the focus is not losing again at Hinkle Fieldhouse.